Are we skincare junkies here at Hello Glow? Yes, absolutely. (We could be spending our money on worse things, right?!) We try out a ton of brands and products, so it takes a lot to get us excited… and we’re pretty excited about No B.S. The skincare world is full of B.S.–outlandish claims, questionable ingredients, ridiculously over-the-top packaging. No B.S. eliminates all that and delivers safe, effective products in sleek minimalist packaging. You can read more about their mission here, but needless to say, we’re totally feeling it. 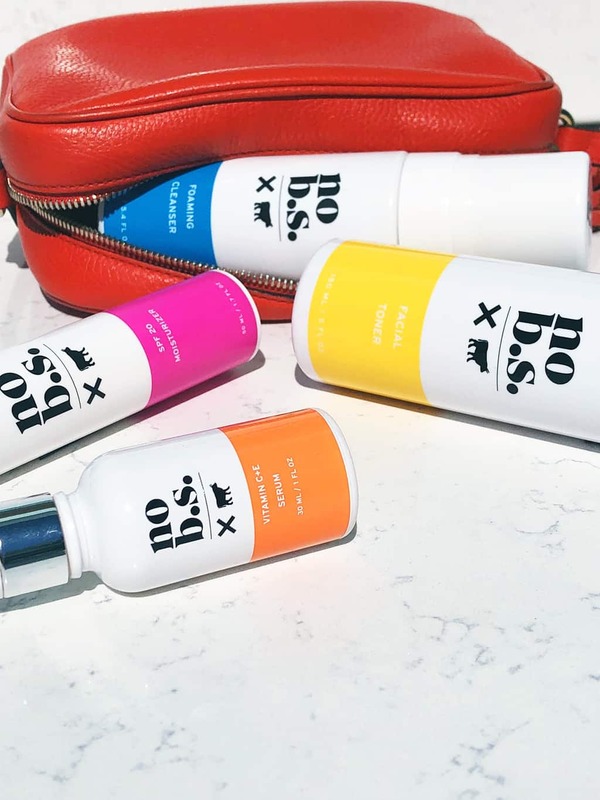 Hello Glow is teaming up with No B.S. to give one lucky reader an assortment of their products valued at $200. Exciting! Use the form below to enter. Good luck! I would love to try the RETINOL NIGHT CREAM. Since I am 53 this would be perfect for me! I’d love to try the Fresh & Smooth Duo! The clean and pure duo. I would love to try the VITAMIN C + E SERUM. I would like to try the HYDRATING BODY MOISTURIZER. My wife would like to try the Retinol Night Cream. I want to try the retinol night cream. The clean & pure DUO is what I’d buy! I would love to try the Clean & Pure Duo. I think that would clean my skin and also mattify it. i want to try the vitamin c and e serum! I’d love to try the retinol night cream! The retinol night cream sounds amazing. I would love to try all these products, but especially the Charcoal Detox Peel-Off Mask! Thanks for the chance! Hello, I would love to try this product! I would like to try the vitamin C & E serum. I’d like to try the clean and pure duo. I’m always looking for new products for my face! I would love to try the Hydrating Body Moisturizer! Sounds like it would be great for everywhere! I would like to try the body moisturizer! I would like the retinol night cream. I would like to try the body moisturizer and the foaming cleanser. The purifying facial toner sounds great! Thanks so much for the chances to win. I would love to try the Gentle Foaming Cleanser! Thanks for the awesome giveaway! I would love to try the RETINOL NIGHT CREAM. I want to try the “ultra-hydrating” moisturizer. I would try the PURIFYING FACIAL TONER! the ULTRA-HYDRATING FACIAL MOISTURIZER W/ SPF 20 looks great! I would love to try the Hydrating Body Moisturizer! I would love to try the fresh & smooth duo! i am excited to try the Vitamin C&E Serum. i think it would work wonders for me. I would like to try their Body Moisture product the most! Although, they all look really cool. I really want to try the Retinol Night Cream! I have been hearing the benefits of retinol for some time now and this one sounds great. I would most like to try the No BS Retinol Night Cream. The Vitamin C&E Serum sounds interesting. The fresh and smooth duo sound amazing, also the ULTRA-HYDRATING FACIAL MOISTURIZER W/ SPF 20. One of the items I would like to try is the Charcoal Detox Peel-Off Mask. The Fresh and Smooth Duo sounds like the perfect combination to me. I would love to try the gentle foaming cleanser! I would like to try the CLEAN & PURE DUO. I would like to try the Gentle foaming cleanser! I would love to try the Charcoal Detox Peel-Off Mask. I love face masks! Quite frankly, I think I’m going to buy myself the No B.S. bag. :) It’s cute! This looks so cool! I would love to try it. I most want to try the gentle foaming cleanser. I’d like to try the CLEAN & PURE DUO. The fresh and smooth duo looks amazing! I’m always looking to find new favorite basics for skin care, so I’d love to try the foaming skin cleanser. I’m excited to try the retinol night cream! I’d like to try the GENTLE FOAMING CLEANSER. So awesome! Would love to try the Retinol Night Cream. Cute packaging too! I would like to try the no b.s. Ultra Hydrating Facial Moisturizer w/ spf the most. 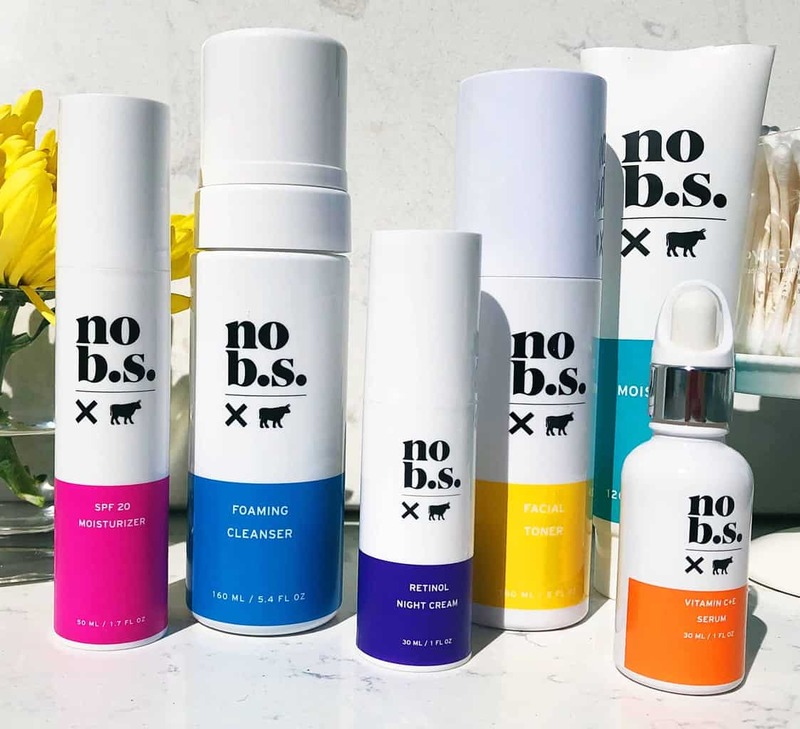 I would like to try the NO BS foaming Cleanser. I want to try the Gentle Foaming Cleanser. I would love to try the Clean & Pure Duo toner. I would love to try the Retinol Night Cream. Thanks for the fabulous giveaway! I’d most like to try their Severely Allergic to B.S. Signature Tote Bag. Thanks for the giveaway! I’d like to try the Retinol Night Cream! I would really like to try the Retinol Night Cream. I love giving myself facials. So, I would love to try their “CHARCOAL DETOX PEEL-OFF MASK”. Definitely def the retinol night cream!! I would love to try the C+ E serum! What a great combo. Definitely the gentle foaming cleanser for my sensitive skin! I would like to try the ultra hydrating facial moisturizer with spf 20! I would like to try the retinol night cream. I would like to try Hydrating Body Moisturizer.. I would love to try the CHARCOAL DETOX PEEL-OFF MASK. I would try the gentle foaming cleanser. Thank you. I would like to try the Fresh & Smooth Duo! I would love to try the Daily Facial Cleanser cloths………thank you for this giveaway. I would love to try Hydrating Body Moisturizer. This is a perfect addition to my nighttime routine! I need the vitamin c and e cream! I would loveto try facial toner. I’d love to try the Vitamin C Serum! I could sure use it! I would love to try the Fresh and Smooth duo. Thanks! The fresh and pure duo sounds like a good fit. Love the packaging and the ingredients look great! I’m interested in trying the Fresh & Smooth Duo. I would love to try the FRESH & SMOOTH DUO. I’m at that age where help and repair is needed. Thanks! i would like to try the C + E Serum. the whole line of products looks great. I would love to try the Clean & Pure Duo. I’d most like to try the Clean & Pure Duo. The hydrating body moisturizer, please! I would love to try the foaming cleanser. The Vitamin C and E Serum! I want to try their hydrating body moisturizer. These products all sound awesome though! I would like to try the gentle foaming cleanser. The Retinol Night Cream looks amazing! I’d love to try the RETINOL NIGHT CREAM. I love skincare and these sound so nice. I would really love the Retinol Night Cream! I am always excited to find skincare I can feel good about, and trust the ingredients. I am super excited to hear of and try No BS! I’d love to try the Retinol Night Cream. I recently turned 50 and I’m very concerned about the fine lines and wrinkles that could be coming my way in the future. I’d love to be able to prevent them as long as possible.